Blame it on Blackbeard and Prohibition-era bootleggers for rum’s decades-long snub by high society. Thankfully, things have changed considerably over the years. Rum, mainly produced in the Caribbean, is enjoying a renaissance as forward-thinking distilleries release increasingly high-quality versions that are smooth and palatable enough for sipping. Sure, you can still blend rum into a luscious piña colada or refreshing mojito, but today’s best rums can also be enjoyed neat. 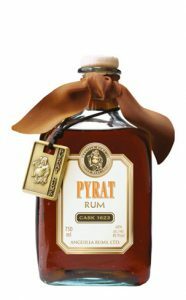 The taste-tested bottles featured on GAYOT’s list of the Best Rums span a variety of price points, flavor profiles and ages (because older doesn’t necessarily mean better). 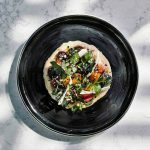 While any of these options are great for cocktails, we also highly recommend them straight up or on the rocks. For even more rum ruminations, be sure to check out our complete guide to rum offering reviews, recipes and more. Price: $115 for 750 ml. 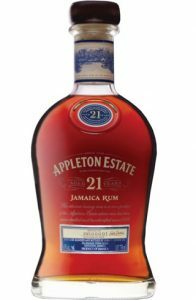 When sipping the Appleton Estate 21 Year Old rum, one can’t help but notice the serendipitous scent of green apple on the nose. Honeysuckle and molasses envelop the palate, creating an unusually dry mouthfeel for a rum this old. Its complexity is a testament to master blender Joy Spence’s knack for nuance — and it doesn’t hurt that Appleton Estate has been making rums in Jamaica’s Nassau Valley since 1749. Based in St. Croix, the largest of the U.S. Virgin Islands, Cruzan Rum has a deep history dating back over 200 years. 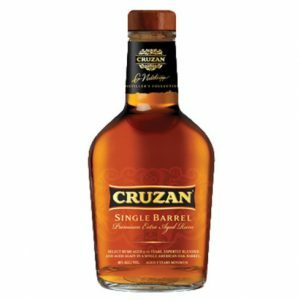 The Single Barrel Rum is a Cruzan classic created from a variety of vintage rums aged for up to 12 years, then held for an additional year in a new oak barrel. This rum shows its age with initial aromas of oak, spice and leather. The predominantly sweet flavor is accented with notes of vanilla and an overall fruitiness that leaves little burn. Light-bodied and well-balanced, Single Barrel Rum can be enjoyed neat or mixed in a cocktail. Named after Don Facundo Bacardí Masso (yes, that Bacardí), the FACUNDO Rum Collection is meant for sipping and dates back to 1862 when its namesake purchased a small distillery in Santiago de Cuba. Because of the political uncertainty in Cuba, BACARDÍ eventually moved its operations to the Bahamas, Puerto Rico and other locales. However, the Art Deco design of the collection’s glass bottles pays homage to the “Golden Cocktail Age” of 1930s Cuba. The four rums in the FACUNDO collection come from the Bacardí family’s private reserves. 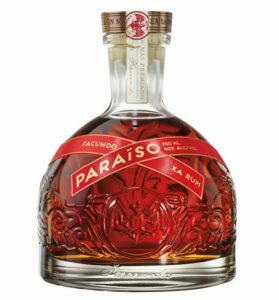 Each rum — FACUNDO Neo, FACUNDO Eximo, FACUNDO Exquisito, FACUNDO Paraíso — is handcrafted by master blenders and then aged in highly toasted and unmoved white oak barrels. While each one is worthy of sipping, if you have to choose just one, make it Paraíso. This rum is finished in casks used for Sherry and French XO Brandy — some of the casks are more than 60 years old. As its name promises, the deep amber liquid, a blend of rums of which some are aged up to 23 years, is “paradise” in a glass. Wafts of oaky vanilla and almond caress the nose, leading to a smooth palate with a long, mellow finish tinged with a hint of sweet fruit and caramel. Distilled, matured, blended and bottled in Thailand, Phraya Deep Matured Gold is the only Asian rum to grace GAYOT’s list. Made with sugarcane grown in the fertile soil of Thailand’s Nakhon Pathom region, the rum has a distinctly beachy taste, with strong coconut and citrus flavors complementing a rich hazelnut aroma. The sweet flavor profile makes it ideal for sipping alongside coconut pie or mixing in a daiquiri. Presented in a chic an modern bottle, this rum is a worthy gift for the sun- and sand- worshipper in your life. Plantation incorporates both column and pot distillation methods to create a rum with enough depth for even the most discerning drinker. The 2001 Old Reserve from Barbados exhibits light pineapple and pear notes on the roof of the mouth, followed by lingering hints of cooked banana on the tongue. Sweet gingerbread flavors are airy but velvety in the finish, making this rum the perfect complement to desserts such as crème brûlée or vanilla pudding. 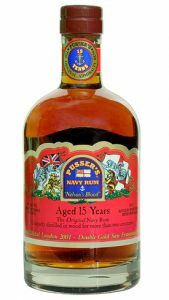 From 1655 to 1970, Pusser’s was the rum of choice for the British Royal Navy — it wasn’t even publicly available until 1979. Every British sailor was given a daily “tot,” and we recommend that you try a dose as well — though not necessarily every day. This handcrafted 15-year single malt variety is aged and distilled in wooden barrels. It’s smooth and sophisticated, with a deep burnt amber color, giving off aromas of sherry and cedarwood. This classically made rum tastes of Brazil nuts, vanilla, oak and toffee, with a balsamic and cinnamon finish. Price: $267 for 750 ml. Blended and hand-bottled in the Caribbean by Patrón, best known for its tequila, the spirit makes a great gift even without the over-the-top packaging. We learned in grade school that many pirates suffered from scurvy, as their less-than-nutritious diets at sea did not contain enough Vitamin C. (That nutrient is usually found in perishable fruits and vegetables that were rarely stocked on pirate vessels on long journeys.) Perhaps it’s coincidence, but Pyrat Cask 1623, named for the Old English word for “pirate,” seems like a citrus blast that can cure whatever ails you. We’re not suggesting that you take an 80-proof shot in the morning in lieu of your Flintstones chewables, but this oh-so-smooth, honeyed, syrupy rum is delightful on the nose, palate and the brain. Blended and hand-bottled in the Caribbean by Patrón, best known for its tequila, the spirit makes a great gift even without the over-the-top packaging: a handmade decanter, wood display case and an ornament bearing the image of Hoti, the patron saint of fortune-tellers and bartenders. Established in the mid-19th century, Rhum Barbancourt lost an extraordinary amount of its aged stock to an earthquake in 2010. Thankfully, the family-run distillery pressed on. This rhum agricole, a French-style rum, is Haiti’s pride and joy. It’s easy to understand why: Distilled from fresh sugarcane juice rather than molasses, it’s light in body yet offers a velvety mouthfeel that gently coats the palate with a balanced array of vanilla, dark fruit and bright orange flavors. Price: $120 for 750 ml. The finish is dry and long, making it best suited for an after-dinner disgestif. 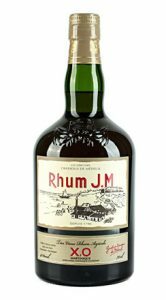 Martinique’s oldest rum distillery, Rhum J.M began production in 1790 and continues to follow the French government’s regulations for producing spirits in the agricole style. 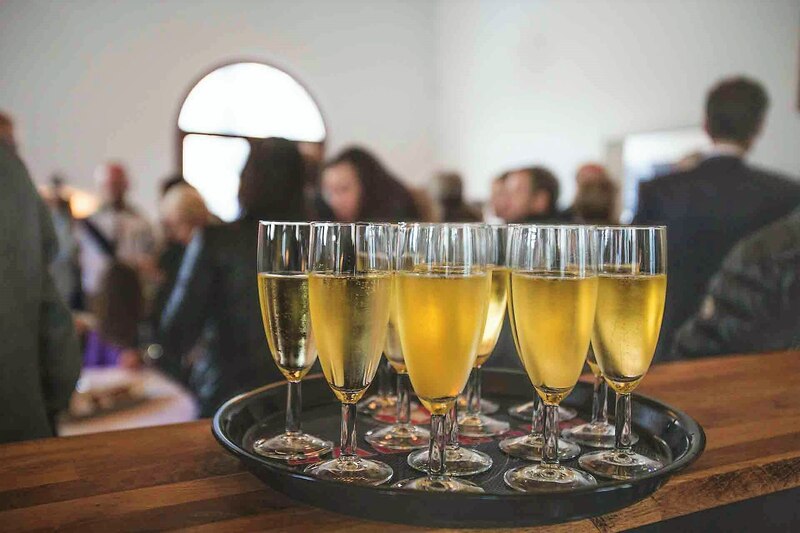 Aged at least six years in re-charred oak barrels, it offers subtle grassy and citrus flavors, with toasted nut aromas that unveil themselves more with each full sip. The finish is dry and long, making it best suited for an after-dinner disgestif. Peru may not be known for its rum, but Ron Cartavio is looking to change that. In production since 1929, the distillery uses Peruvian sugarcane molasses and produces its rum using continuous column stills and copper pots. After distillation, the rum undergoes the unique solera aging process, in which it’s matured in three different barrels: American, French and Slovenian oak casks. Ron Carvatio XO is a blend of rums between 10 and 30 years old. On the nose, it has an overall creamy and sweet aroma, with strong notes of caramel, vanilla and oak spice. The spice notes continue on the tongue, along with flavors of ginger, leather and tobacco, rounded out by a smooth and rich finish. 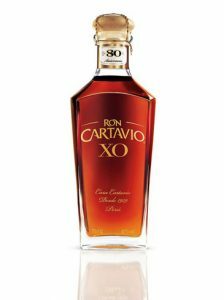 Ron Cartavio XO is a complex and flavorful rum that should be appreciated neat. 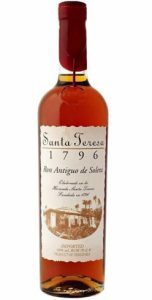 Santa Teresa 1796 is the first rum in the world to utilize the solera method of aging, a process popular with Spanish Sherry makers. Made with blends between four and 35 years old, this Venezuelan rum is on the drier side and perfect for sipping straight. Even without the confectionary qualities found in many other brands, this bottle still manages to entice with its complex aromas of vanilla, caramel, cherry and banana. Making things even more authentic, Hacienda Santa Teresa is the original Venezuelan rum producer, which first began distilling spirits in 1796.